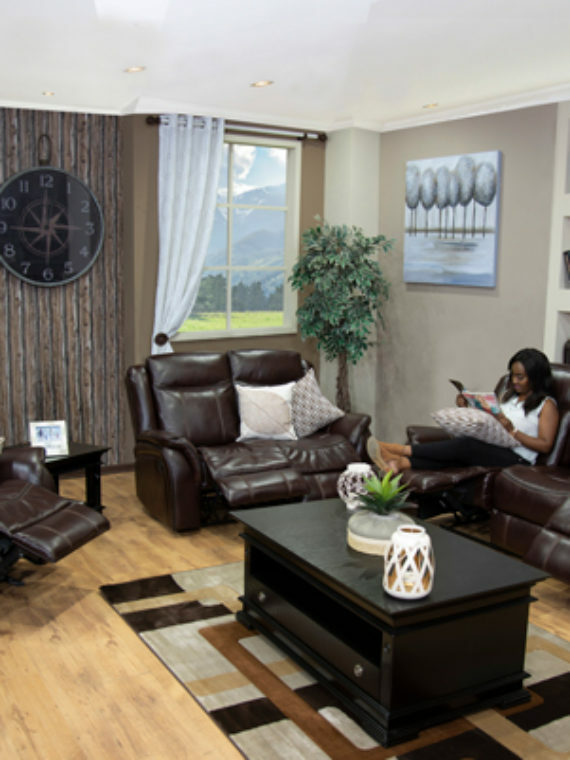 Every element that goes into the Tommy Recliner Lounge Suite is made to ensure ultimate and complete relaxation. 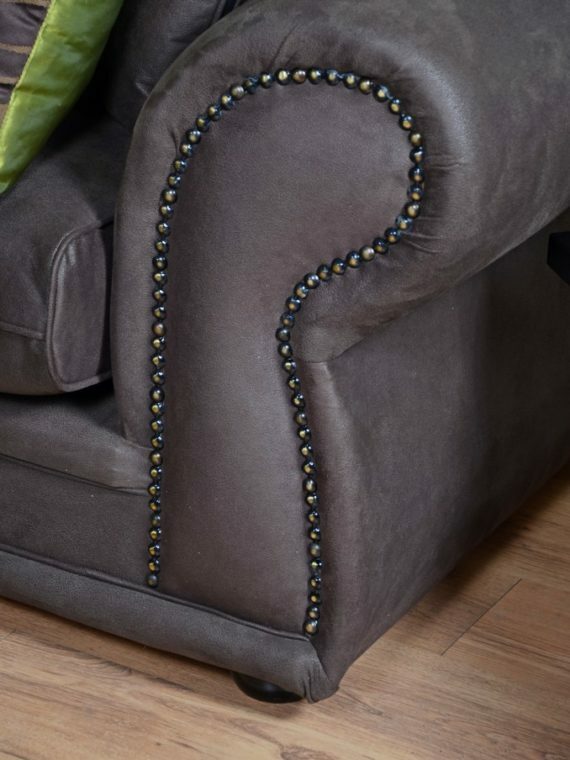 A strong hardwood frame, nested pocket coil spring, and a supportive foam core wrapped in layers of soft polyester provide deep, plush seating that you and your guests will never complain about. 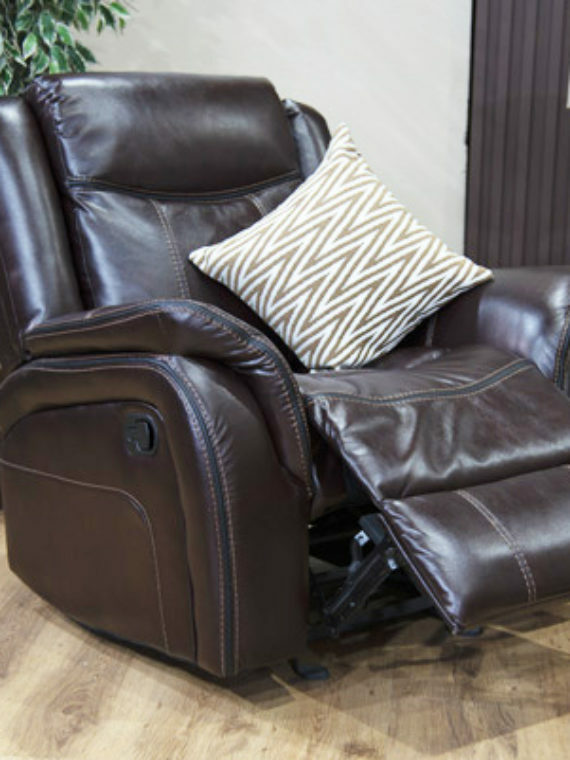 Fall into a deep state of relaxation with this overstuffed, cloudlike motion chair that welcomes all the curves of your spine. 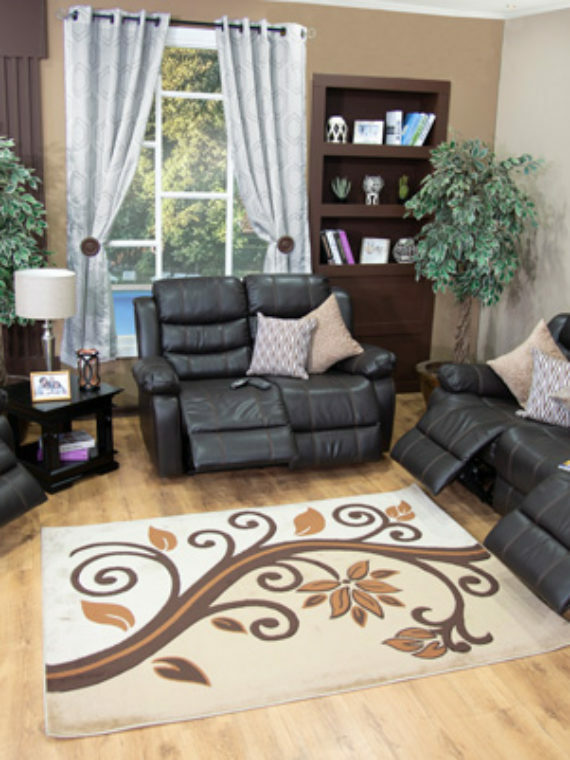 Prepare to be pampered! 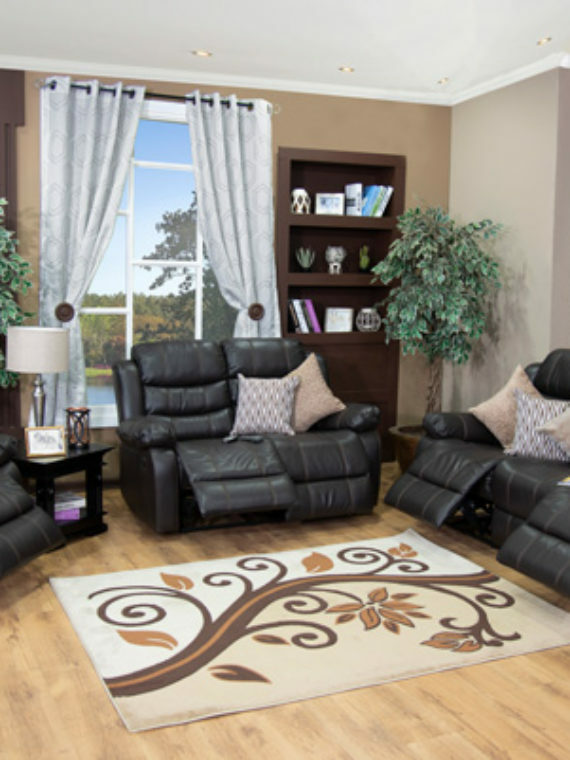 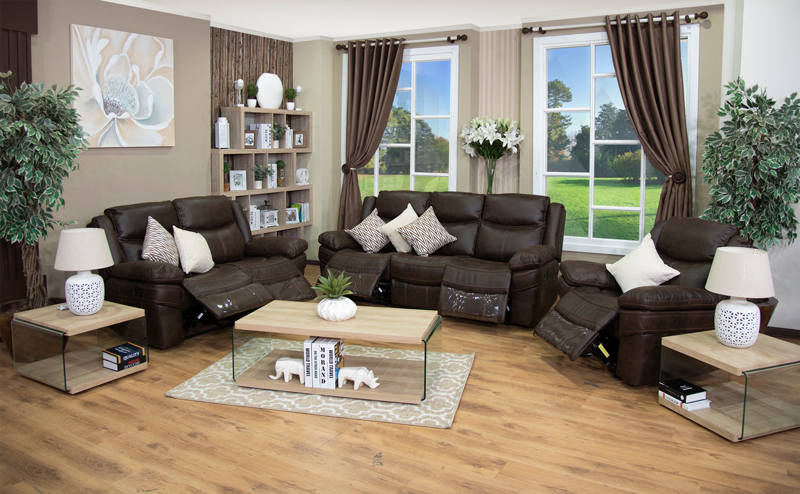 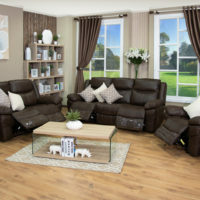 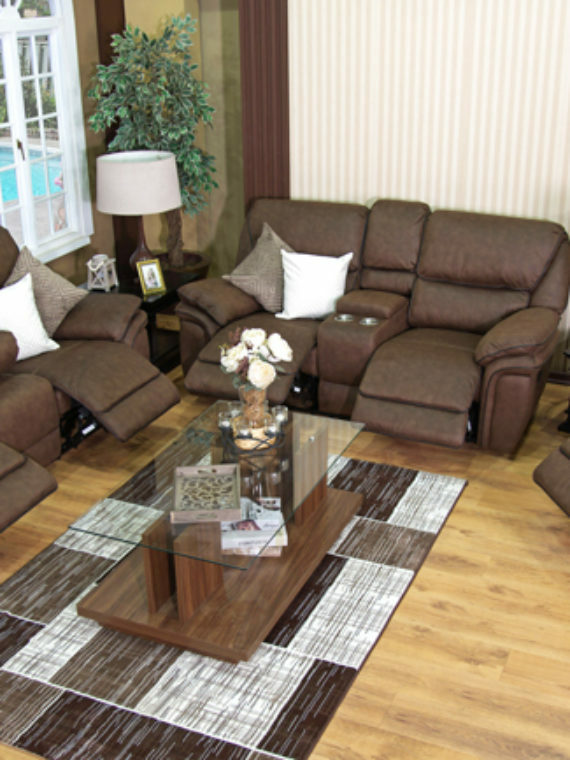 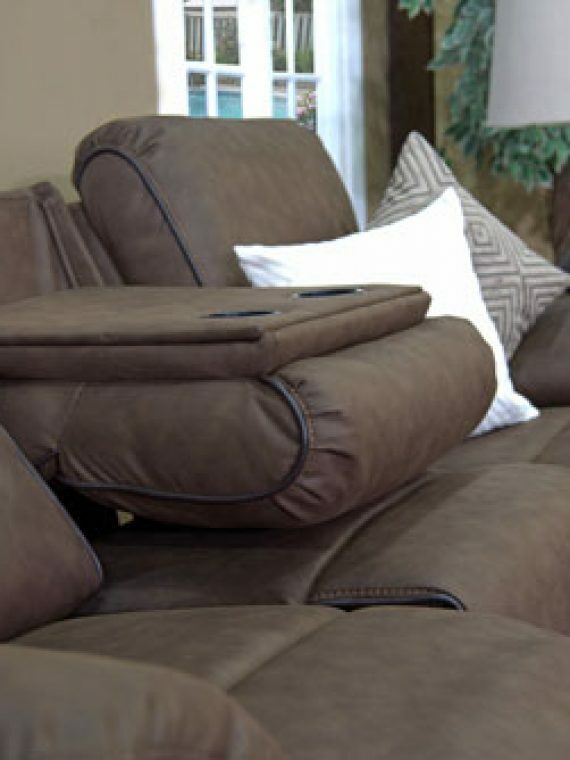 Sleek yet soft palomino suede upholstery that has the look of leather without the maintenance covers this beauty, and contrast stitching ensures that the Tommy Recliner Lounge Suite will always remain the most luxurious furnishing in your household.